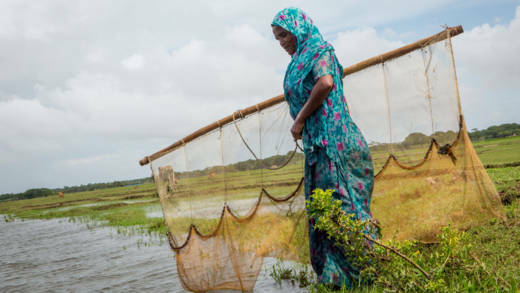 Please donate to our Lent Appeal 2019 to help families suffering from hunger and the impact of climate change. This Easter, your gifts will give vital support to the communities we work with around the world. Mahinur, her disabled husband and 12-year-old son, are an example of a family that we hope to reach thanks to the Lent appeal. 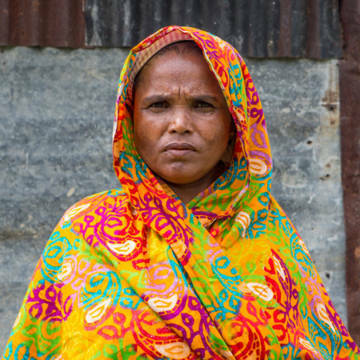 Mahinur’s family live in Bangladesh, where floods, droughts, and cyclones have damaged crops, homes, health and income. There are no fish in the river near Mahinur's house any more. Mahinur cooks and cleans in neighbours’ homes for a bit of cash but it’s never enough. There are days the family have nothing to eat. 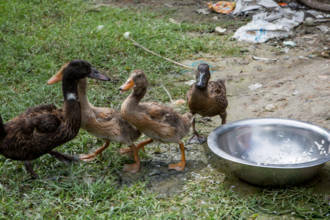 Our local expert, Jamal, has already helped a few families in Mahinur’s village - teaching them new farming techniques, and distributing seeds, ducks and chickens. But sadly, there hasn’t been enough money available to help Mahinur. You can change this today by supporting our Lent appeal and enable us to reach out to more families in desperate need of help.